Drum teachers at Music House have at least one thing in common: They love teaching and inspiring students. With their different music backgrounds and experience they bring a treasure trove of possibilities to their students. Want a teacher with strong jazz chops? Got it. Experience playing in bands at the national and international level? Check. Approachable personality and dedicated teacher? You bet. Someone who will inspire greatness from his students? For sure. In fact, you can't make a bad choice when selecting a drum teacher at Music House. Whether you're just getting started with drum lessons, need to polish your style, or expand your comfort zone, the choice of a drum teacher will make the difference between losing interest and being inspired. Read on for more information to help you get to know these teachers better. "Personally, my favorite thing to teach students is whatever gets them excited and motivated to dig deep into drumming. That being said, sometimes it's difficult to uncover what turns on the 'light bulb.' Part of the teaching experience that I love the most is the journey to finding what means most to a student musically. Any type of music that makes my students want to go home and discover more makes me do the same, and gets me more excited to teach." "I enjoy teaching students how to get a good handle on coordination. There are few things that will slow or accelerate a students progress. My happiest lesson times are when I see that students augment their lessons with effort and practice outside of Music House. " "Initially, my goal is to ignite a passion within the student. The lessons have to be fun. I love teaching students the idea of playing for the song and not for themselves. I talk about the importance of playing what works for the song and not over playing or playing too many flashy beats just for the sake of sounding impressive. So, finding your role as the drummer. Your role is to be the heartbeat of the music and accentuate the other instruments and vocals in the band. More often than not, less is more when it comes to drums. It's exciting when my students begin to understand this idea." "I find it rewarding to teach students the thing they want to learn. Simple and cliché for sure, however, being able to merge the tradition of playing the drums with the ambition of these students is incredibly gratifying. As long as they have a yearning to learn, we can always set the appropriate path curriculum-wise." "It's important to be open to learning to play different styles. You never know when a certain style or skill you acquire will come into play when writing music." What do you do or have you done with your music education/experience? "I was fortunate to be a member of the rock band Shooting Star who toured all over the world from the late 70s to today. 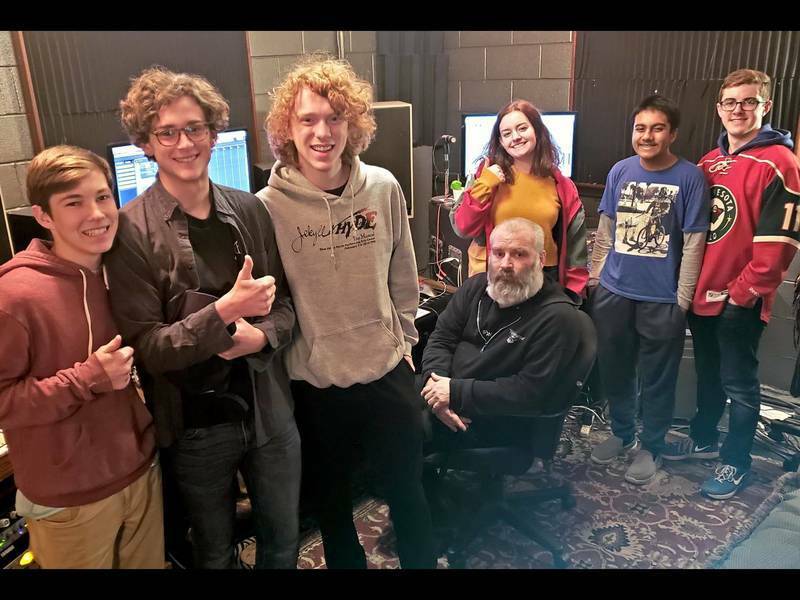 The band got the opportunity to record at some of the best recording studios in London, New York City and Nashville. We shared the stage with Journey, Kansas, Styx, Heart, ZZ Top, Robin Trower, REO Speedwagon, Joe Cocker and Boston to name a few. Shooting Star gave me the opportunity to meet many cool people in the business throughout the years. One of the coolest experiences was to hear our songs on the radio for the first time." "Over the past few years, I have had the wonderful opportunity to teach and clinic students at various schools throughout Missouri. I currently play in a few different groups including the AM Trio and my own original groups, Grand Villanova and Joshua Blythe & The Temp. Agency. This gives me the opportunity to play gigs around Kansas City areas. Also, being able to pass around knowledge to my fellow musicians and younger sister has been very gratifying." "My love of music has taken care of me, and allowed me the opportunity to perform with many artists in many styles in many locations." "I started performing at the age of 8. The passion part of my playing came into fruition around the age of 13 when I started playing in bands. By the age of 15, I was recording in professional studios and at 17, performing around the nation. My first experience teaching was at 18, when I discovered that I had the personality and skill-set to excite, motivate, and teach students what I love. Drumming has opened many doors for me: taking me around the world, putting me on TV and in front of thousands, and creating life-long friendships with people I would've only met through music." "I enjoy teaching students how to get a good handle on coordination. There are few things that will slow or accelerate a student's progress like coordination." "Copy your heroes. Always remain a student. Study something because you love it, not because you think you need to know about it. " "Whether you love or hate a song, your job is to crawl inside it and make it yours. Find a way to make every song your own." "NEVER be afraid of where music can take you. Sometimes it might seem scary just getting on stage, then you do it and the feeling is amazing. Music might take you on the road. 'But what if I don't make that much money at first?' For one, that will come if you keep at it (but if money is your motivation then you picked the wrong career; music is about the fulfillment within and everything that comes from that). The important thing is to concentrate on the craft and the experiences that come with it and open doors to new opportunities and new gigs. " "Always listen way more than you speak. " "Practice the styles of drumming that make you most uncomfortable to play. This will help you round out your playing and make you better at the styles that come a bit easier to you already." In your opinion, what is the best way for students to become better drummers? "Listen. Listen. Listen! Study the fundamentals in a way that fuels your love for your instrument. Fall in love with another artist's playing and try to bring it into your world." "Practice the styles of drumming that make you most uncomfortable to play. This will help you round out your playing and make you better at the styles that come a bit easier to you already. " "Look for as many opportunities as you can to play as much music as possible with as many musicians as possible. It's important to be open to learning to play different styles. You never know when a certain style or skill you acquire will come to into play when writing music. Find a way to connect with the people you're playing with, no matter who they are and what style they play." "Practice to record, record yourself often, and become very familiar with sound." To excel at playing drums, you need to find a teacher that not only has the experience to guide your development, but will also inspire you to work hard to become the best you can be. When you find a teacher like that you can go far. Interested in finding an amazing drum program? 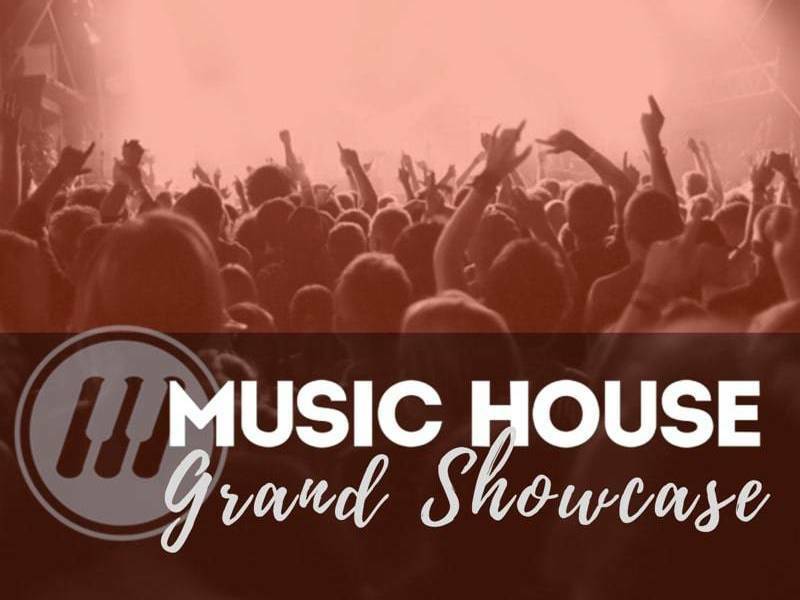 Check out Music House!